148 x 210 mm 10 Illustrations, black and white; Approx. 270 p. 10 illus. This book examines international climate change mitigation and adaptation regimes with the aim of proposing fair climate stability implementation strategies. 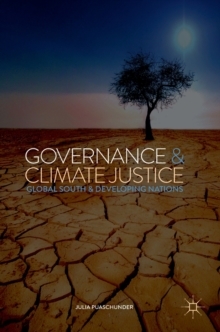 Based on the current endeavors to finance climate change mitigation and adaptation around the globe, the author introduces a 3-dimensional climate justice approach to share the benefits and burdens of climate change equitably across society.